I didn’t know what to think when I first set up the Super Scout. 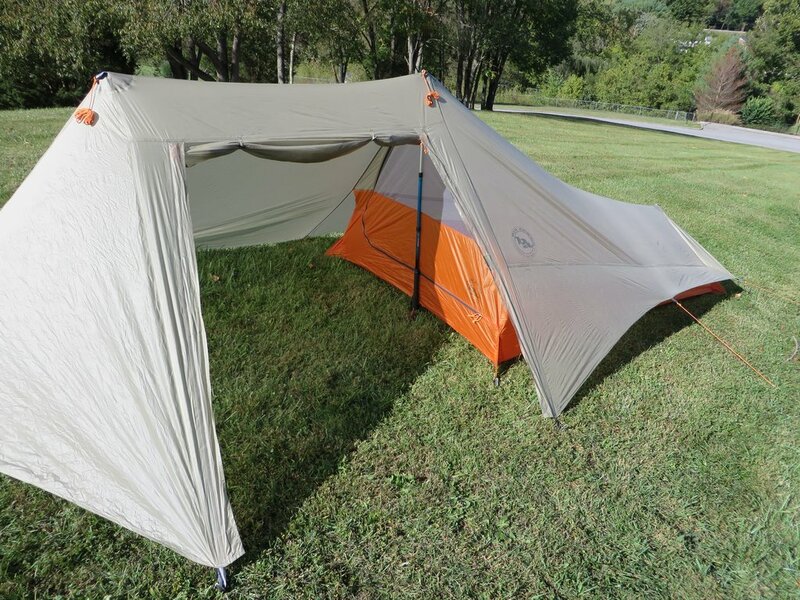 A sub-3 pound tent with a vestibule that’s larger than many two person tents? I was curious to say the least. Per usual, I decided to dump the tent in the worst conditions I could come up with. Unrelenting rain, impatient wind, exposed balds, and high humidity were the tools of choice. Let’s see how it fared. The Super Scout is an ultra light tent, weighing in at just 2 lbs 11 oz packed. The tent is comprised of a sleeping area, and the huge vestibule. A double zipped door allows access to the vestibule, while a mesh zippered door gains entrance to the sleeping area from there. 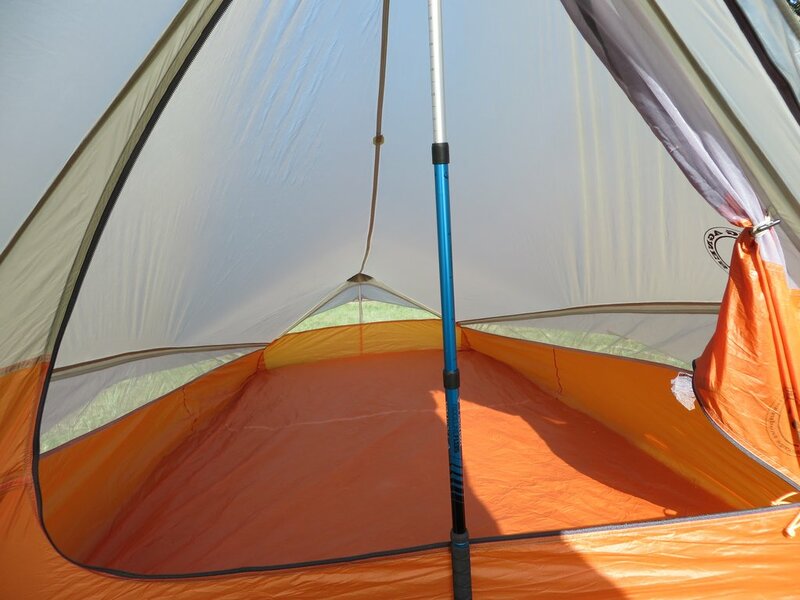 The tent pitches uses trekking poles for the head of the tent, and the lift of the vestibule. 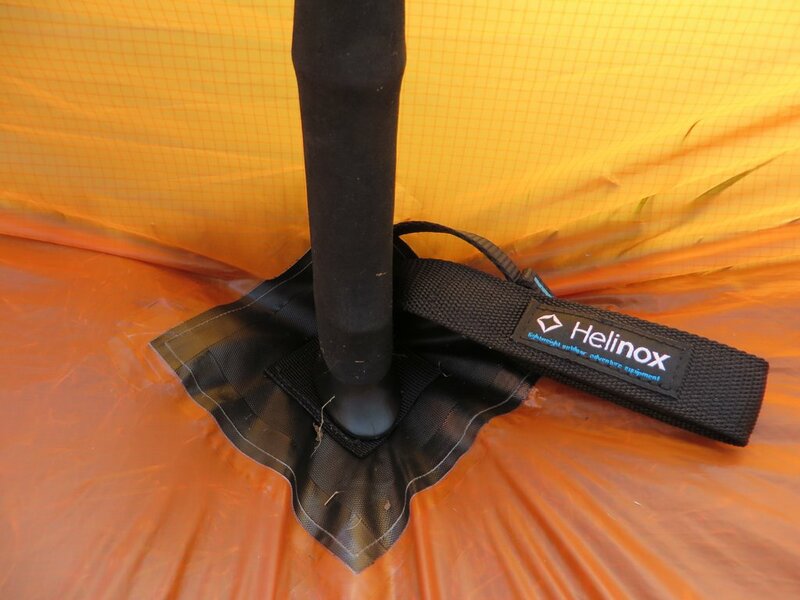 One small pole is included to lift the foot of the tent, and 15 J stakes are used to secure the tent. Stuff sacks are included for the tent, pole, and the tent stakes. 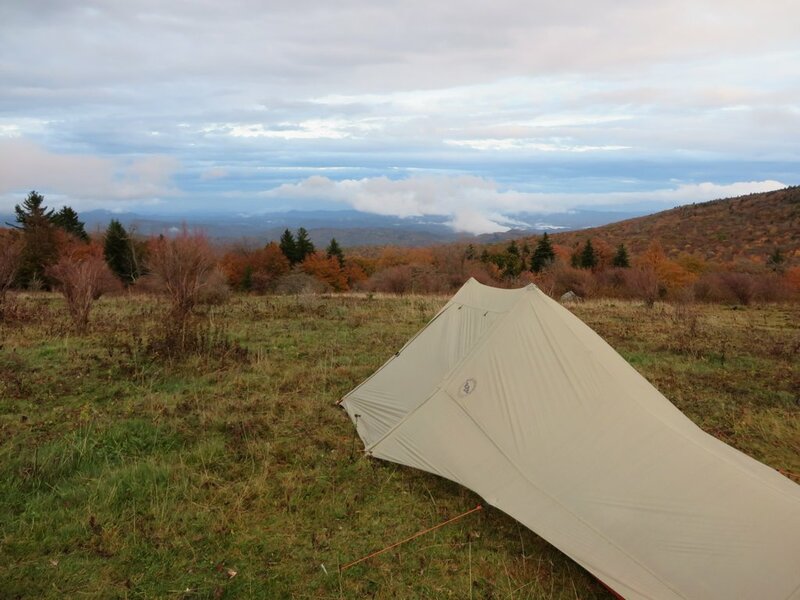 The shelter is a single wall tent, made from an ultra light weight rip-stop nylon with a mesh panel wrapping around the exterior of the sleeping walls to provide ventilation. 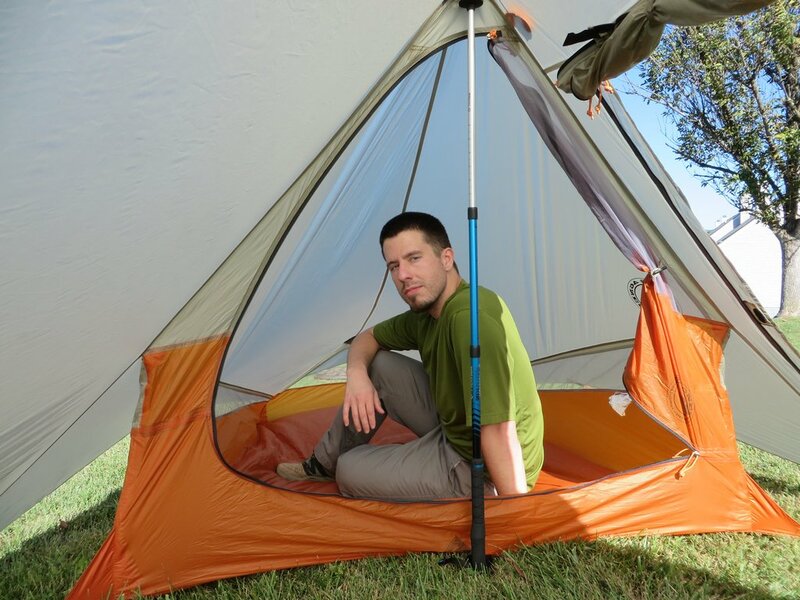 reinforced pockets provide a resting point for trekking poles, and guy-lines are strung about the tent. The vestibule provides a massive 44 square feet of area, and the sleeping area is 29 square feet. Peak height is 45 inches. The shelter retails for $399.95, trekking poles required (not included). 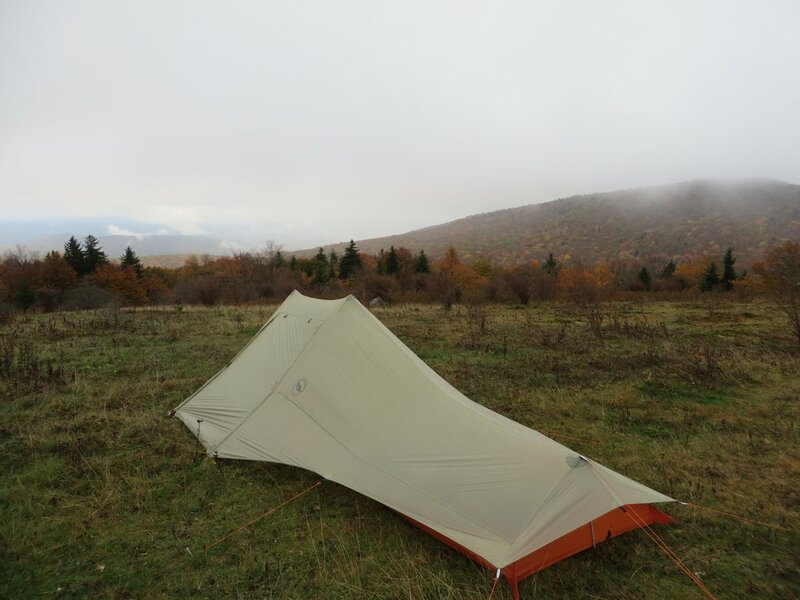 The Super Scout provided amazing wind stability, shrugging off hard winds and rain on exposed peaks for days on end without so much as shuttering. The tent manages to handle wind better than most full feature free standing tents I’ve tested, partially thanks to the 15 stake out points and well positioned guy lines, combined with a low profile and steel walls. The Scout was quite, and allowed for calm nights sleep while nature raged around us. Rain never found it’s way inside, even with a less than ideal pitch on an incline with the tail in the wind. The ventilation is quite good, battling condensation in high humidity conditions better than most tents. The tent provided a steady flow of fresh air, without actually allowing wind to blow through. 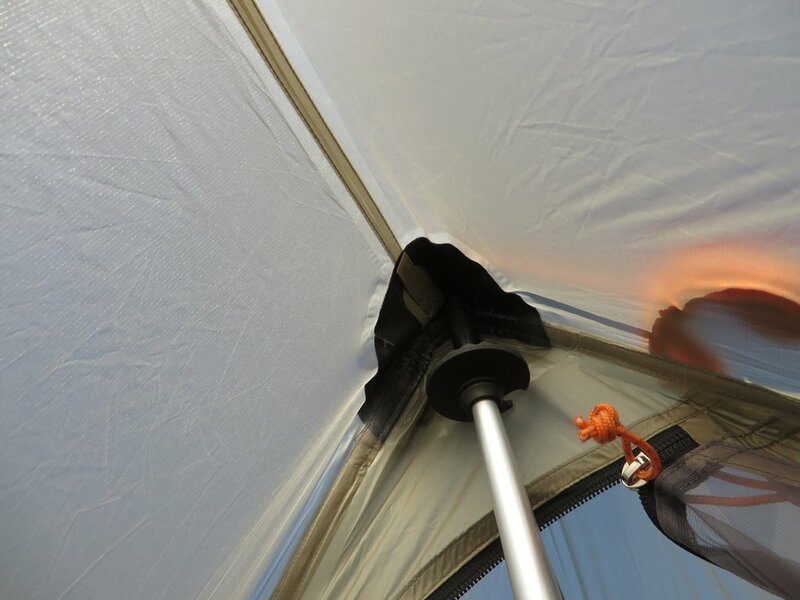 When the tent did eventually start to build up water droplets from the high humidity, almost 10 hours into a rain, a quick wipe down with a camp towel solved the problem quickly and easily. The tent pitches easily, and quickly. I was the first tent up while others fumbled with blowing kites and poles during a wet windy evening. Simply stake out the 4 corners, lift the primary pole, stake out the vestibule loops, slide in the foot pole, lift the second pole, and circle around staking out the rest, saving the sides for last for a taut pitch. The shelter also pitches mostly dry. During a rain storm I was able to pitch the tent, with only some light rain getting into the foot while setting it up, and that could have been avoided had I paid attention. The vestibule, the star of the show, is where I found myself spending most of my time. 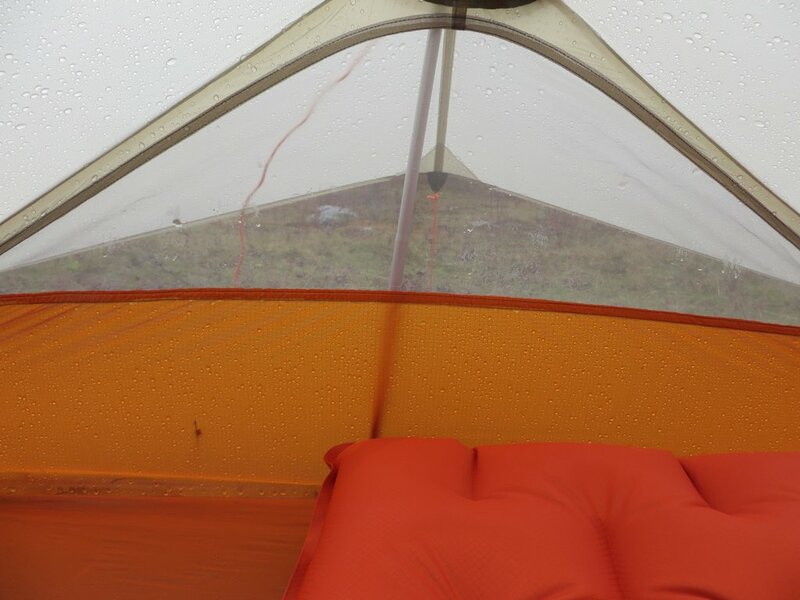 A high peak and massive amount of space makes it an intriguing option for rainy weekends, without having to worry about getting your sleeping bags dirty or wet. 4 people can easily huddle up inside the tent to cook dinner during a rain when using both the sleeping area and vestibule. Even with the door open, rain didn’t come through the front door. This provided a dry entry and exit. The tent, despite being so light, is well built. Reinforced trekking pole patches resist abrasion, and handling a sharp ended trekking pole point with no problems. The tent provides ample space, inside and under the vestibule for two people and all of their gear, included bikes and chairs if you have them. Practice makes perfect. While the tent pitches fast, you have to know what you’re doing. A couple practice pitches were required to get everything taut and looking nice. Follow the instructions, and you’ll do just fine. The foot of the tent is pretty low, and doesn’t allow much room if you’re trying to work at your feet. 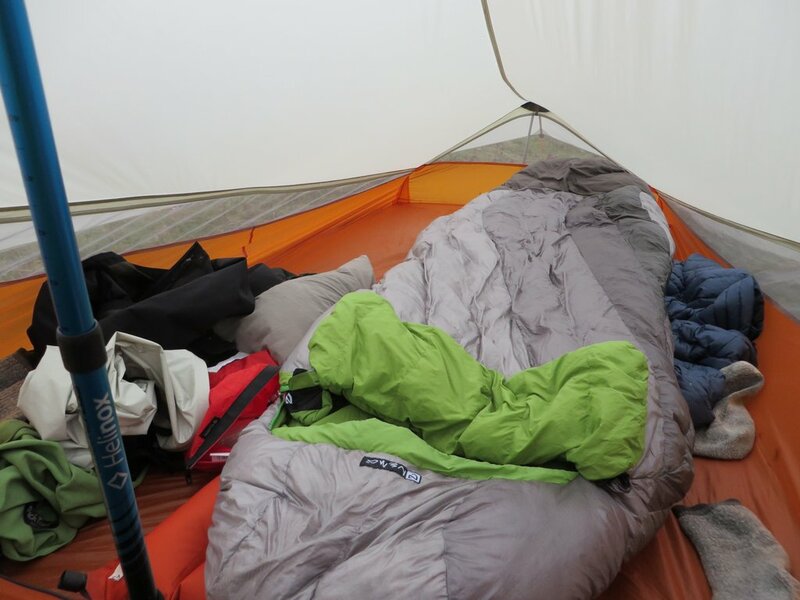 When condensation did roll in, I had to be careful to not rub my sleeping bag against the low foot of the tent. The peak height inside the sleeping area is down the center of the tent, dropping steeply towards the foot, and it doesn’t easily allow for two people to sit up without touching the walls. The vestibule doesn’t have this problem. The tent is very long, so you’ll have to take consideration of where you’ll be pitching your tent. Grass fields are no problem, but if you’re trying to wiggle into a nook in the woods, site selection will play a role in the usability of the shelter. Rushing to pitch my tent during a storm, I hadn’t realized I was pitching the tent at a fairly steep angle, with my head down hill. I had to sleep with my head at the foot to feel comfortable, and the foot provides very little head space. It’s doable, and I slept fine, but not ideal. This isn’t a con, as it’s not how the tent is meant to be used, but something to keep in mind when choosing an angle. The Super Scout from Big Agnes provides an incredible amount of living space, and gear storage for an absolutely minimal amount of weight. Incredible sturdiness in storms and great ventilation make for a cool, quiet nights sleep even in the harshest of conditions. Two people can happily reside inside, while making a one man palace with no weight penalty. If you spend a lot of time in the rain, or you have the need to store large items like bikes, backpacks, or people under your vestibule, this is a great solution to your problems. 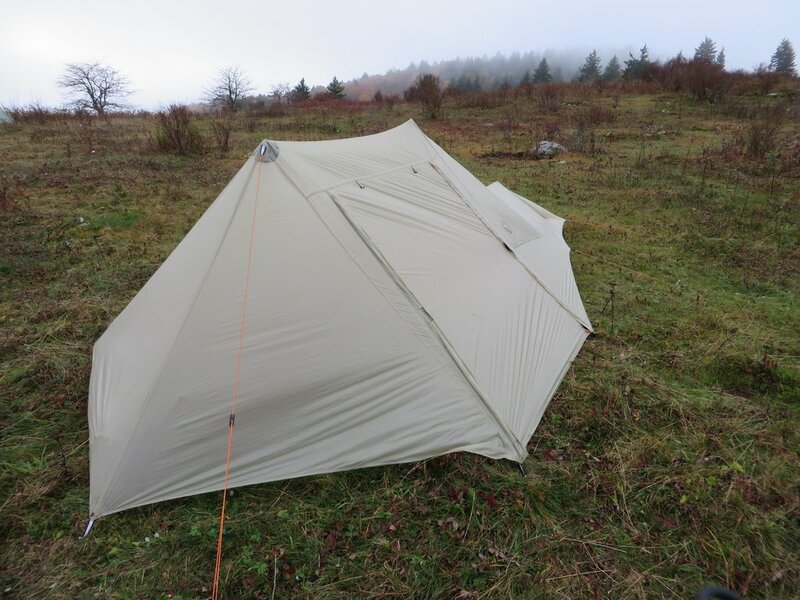 Mind the single walled design and the neccessity for trekking poles, and you have a tent that punches way above it’s weight class. Thanks for this nice and detailed review. I am a biker and I wonder if this tent can harbour one bike without dismounting its front wheel ? Your answer will be very important for my decision. Thanks for reading! That should fit under the front vestibule. It would be easier without the wheel, navigating around the trekking pole and all, but i think it’s doable.